Rinpoche is a Rime Master of the Tibetan Buddhist Tradition, an acclaimed Yogi, Terma revealer and Scholar, residing in his native Ladakh tirelessly helping sentient beings with his infinite compassion and enlightened activity. In 1951, accompanied by his teacher Gegen Sonam, the young Rinpoche traveled through Sikkim over three weeks on horseback on his way to Drikung Thil Monastery in Tibet. There he received teachings from renown spiritual masters and completed many retreats. 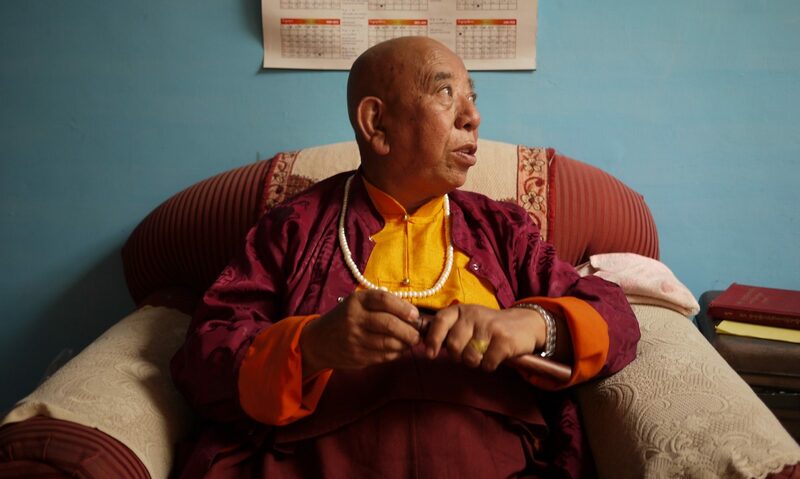 In 1959 upon the Chinese invasion, Rinpoche was captured and put in to Chinese prison, but was let out to travel back to India with other Ladakhi monks one month later. In the 1960s, Rinpoche met his root guru H.H. Dudjom Rinpoche in Kalimpong and subsequently sponsored a great transmission of Rinchen Terdzod, by Dudjom Rinpoche in Tso Pema in early 1967. 35 Tulkus and thousands of Monks attended the precious Nyingma transmission that took 6 months to complete for H.H. Dudjom Rinpoche. Thereafter, he was appointed by Dudjom Rinpoche as his successor in transmitting this teaching. Rinpoche has completed the Rinchen Terdzod transmission cycle multiple times. 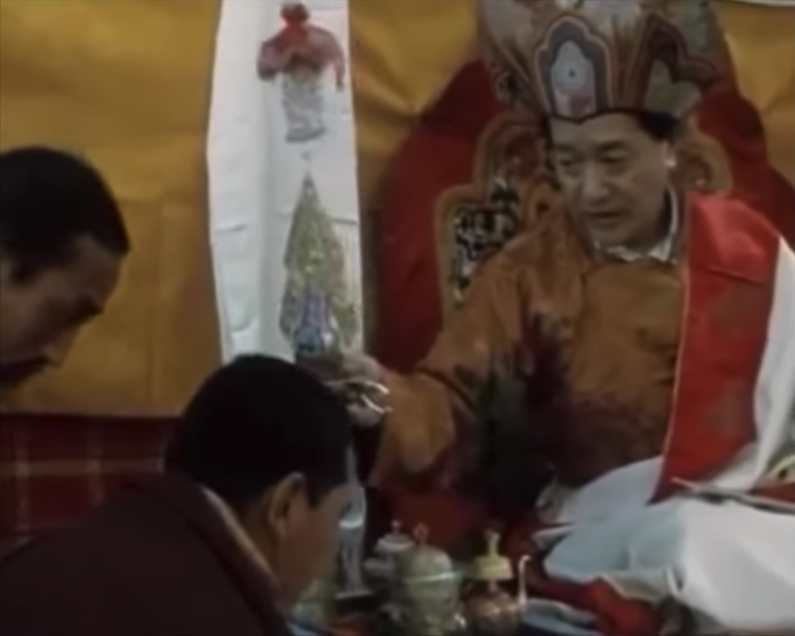 Rinpoche revealed and transcribed the Exceedingly Profound Ati-Yoga Mind Terma Practice of Padma Gyalpo, Guru Padmasambhava in the form of The Lotus King, accompanied by the Four Dakinis. Though Rinpoche could have reveal many other Termas, Rinpoche did not do so. He felt that “The Lotus King Sadhana” was particularly appropriate and beneficial for modern people. Having been revealed by the blessing of Rinpoche in the later part of the 20th century, Padma Gyalpo terma is particularly appropriate and useful for beings living in the modern times. Rinpoche can be mostly found in his native Ladakh, where he is the Head Lama for all Tibetan Buddhism Lineages. It is not uncommon for hundreds of people to visit Rinpoche in a given day to ask for advice, blessing or divination. While in Ladakh, Rinpoche spends time in retreat frequently. Sometimes Rinpoche can be found overseeing the building of his Monastery in Jammu, which is the first Buddhist Temple in Jammu – the city of temples – in a 1,000 years. Upon request Rinpoche has recently made visits to Singapore, Indonesia and Germany.